Northside Villa in Deer Valley, Utah,. one of the vacation homes in Villas of Distinction’s portfolio. Wilmington, Mass. –Villas of Distinction® provides travelers looking to hit the slopes this winter with luxurious, private villa vacation homes in some of the hottest ski destinations — Utah, Colorado and newly added Wyoming. And, with a vast array of upscale amenities, plenty of space, privacy, personalized attention, and full-service vacation planning including unique and customized experiences, visitors will fall in love with the perks of vacationing in a villa as opposed to staying in a resort. 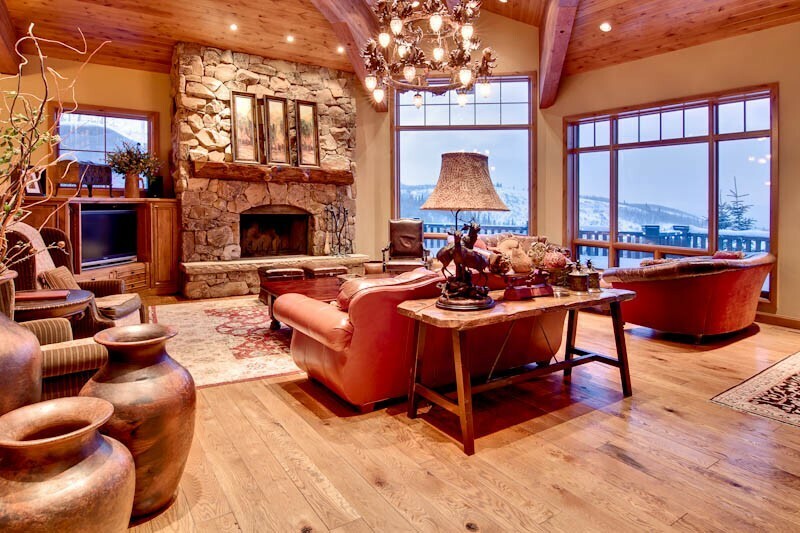 Newly added destination and villa — Gray Wolf in Jackson Hole, Wyoming is the perfect location for the avid skier because it sits at the base of the Jackson Hole Mountain Resort and is just 3/8 of a mile from the ski lifts in the Teton Village area. After a full-day of outdoor adventures, visitors will enjoy Gray Wolf’s rustic charm and contemporary luxury setting with an array of amenities including a fireplace in the great room and master suite, private outdoor hot tub, full concierge service and more. More villas will be added to Jackson Hole soon. Northside Villa in Deer Valley, Utah gives skiers access to the perfectly groomed runs of Flagstaff Mountain just off of its quiet cul-de-sac. This 6,600 square-foot ski chalet features five bedrooms, seven baths, spacious living areas, a projector screen theater, gourmet kitchen and game room making it perfect for two families who want to travel together and have room to spare. Guests will be spoiled with daily housekeeping and on-call shuttle service in the winter months, concierge service and a private outdoor hot tub … and all of this is included at no extra charge. Travelers who may have had trouble finding a large luxury home in the downtown area of Park City, will be happy to find this gem — Woodside Villa, which is just one block from historic Main Street and only 50 yards from ski access to the Town Lift. The stunning 5-bedroom Old Town ski home offers a private bath for each bedroom, a wet bar, two-way fireplace, private hot tub and a heated garage. During the winter season, daily housekeeping and complimentary in town shuttle service is available, and the villa always offers a personalized check-in and a private concierge giving the guests a top-notch experience. In addition to skiing, both destinations in Utah have other fun snow activities including Heli-ski and Snowcat tours, snowmobiling, sleigh rides, jet or helicopter charter and Utah Olympic Park where visitors can ride the official bobsled track of the 2002 Olympics. In one of the most sought out ski destinations, Colorado, skiers will find The Colorado Lodge, a 3,250 square foot private penthouse offering dynamic ski mountain and valley views. This is the perfect place for a couples retreat with friends as it accommodates eight guests with traditional bedding and up to 10 with the use of a trundle bed and twin pullout. Located on the 11th floor this 4-bedroom, den, 4.5 bath penthouse features a fully-equipped commercial kitchen, dining area, family room with moss rock fireplace, wine cave, and an outdoor terrace with seating and a commercial gas grill. The most valuable amenities of this winter vacation haven are its definitive ski-in/ski-out location with full access to The Ritz-Carlton, Bachelor Gulch’s five-star services and amenities including daily housekeeping and turndown services, overnight laundry service, private chef available upon request, babysitting services, 24-hour in-room dining, complimentary Wi-Fi and more. Arrabelle 655 at Vail Square in Colorado brings the warmth and character of the European Alps indoors with its imported French and Austrian antiques. Being located at the base of North America’s #1 ski resort and just steps from the Eagle Bahn Gondola coupled with providing Arrabelle Resort’s high-end in-suite services provides one-of-a-kind appeal to die-hard skiers. This luxurious 5-bedroom boasts striking ski mountain views from every window, two master suites and a wraparound 270-degree terrace where guests can relax and enjoy the spectacular views or use the commercial gas grill to prepare a meal. After a long day on the slopes, visitors will want to warm up in the rooftop hot tub while taking in the Vail Mountain scenery. In addition to value-added amenities at the villas, Villas of Distinction’s expert concierges provide every client a personalized encounter planning every aspect of the trip from the time they leave until the time of their return. A villas concierge customizes every vacation to the client’s needs from home to airport transfers; pre-stocked groceries; and villa yoga and massages to booking tours and excursions; ski lift tickets; chef services and restaurant reservations, customers won’t need to lift a finger or waste precious time planning the vacation. So, get friends and family together to start planning the next big ski vacation. You can’t beat the value of quality time with family and friends, space, privacy and the chance to be spoiled with personalized service and high-end amenities that a hotel room doesn’t offer. The villa experts at Villas of Distinction want to spoil you with a full-service villa vacation experience. For more information or to book a luxurious villa rental, call a Villa Specialist at 800-289-0900 or visit VillasofDistinction.com.